From the point of initial inception through to the grand unveiling, there is a lot of work that goes into creating a new car. That being said, some of the vehicles that make it onto the market are a tad bit surprising. The good Cadillac name deserved better than this, it really did. This hellish beast was birthed from a panicked team trying to keep up with the market’s new emergence of smaller cars, but instead just replicated the much lower class Chevrolet Cavalier. Considering the Cadillac brand had built its reputation on class and premier quality, this was a major leap backwards for them. Question: what do you get when you base a car design off of a few Lego blocks that have been melted in the sun then mashed together? 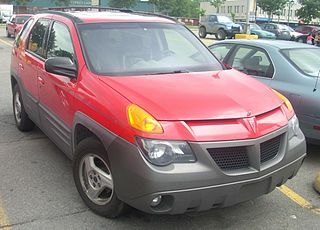 Answer: The 2001 Pontiac Aztek. This car takes out the second spot of worst cars because, let’s be honest, it just does not look good. What’s more, its design isn’t functional at all, making it a mission to drive. The Aztek came just 8 years before General Motors shelled the Pontiac brand completely… coincidence? Perhaps not. 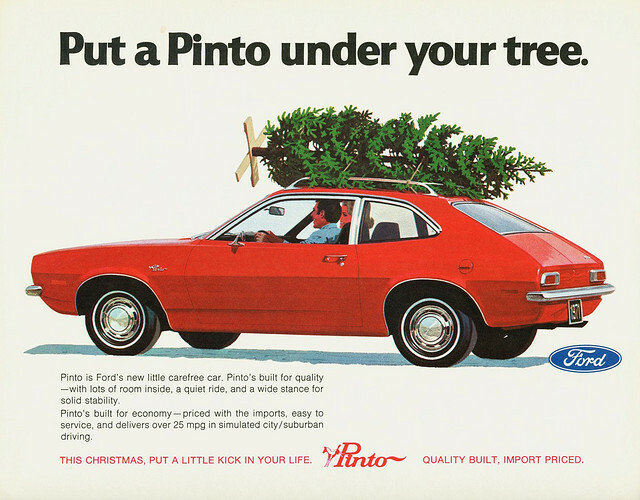 The Ford Pinto; a carefree, fashionable car with all the mod cons (for 1971) … PLUS it doubles as great kindling! Yes, the perfect Pinto did have a small manufacturing problem – it tended to erupt into flames when rear-ended. That’s because the design made it so the fuel tank was incredibly vulnerable. So unless you wanted to risk starting a small bushfire, it was probably best not to follow Ford’s advice in the above advertisement and leave a Pinto far away from any trees. What a hot mess. 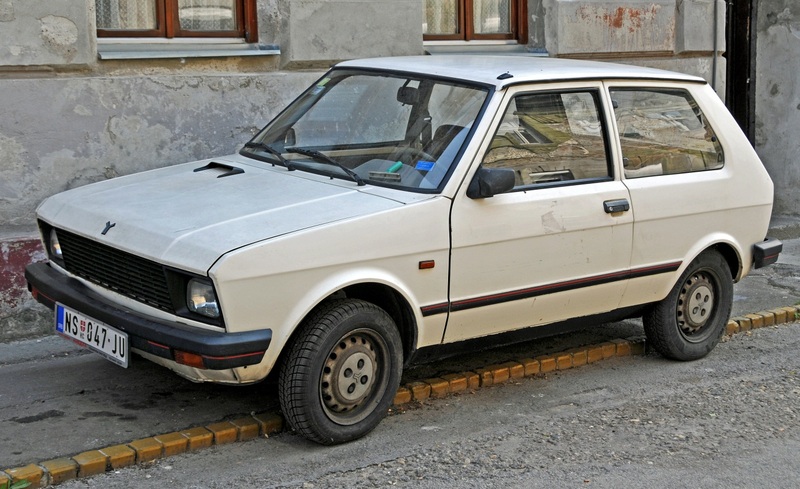 The Yugo GV (known as the Zastava Koral in Yugoslavia, where it originated) was every car owner’s worst nightmare. It seemed ok from the get go, but it didn’t take long for problems to start arising. Parts fell off, the engine didn’t last, and the electrical system burnt out. Maybe they should have called it the Yu-Don’t-Go. 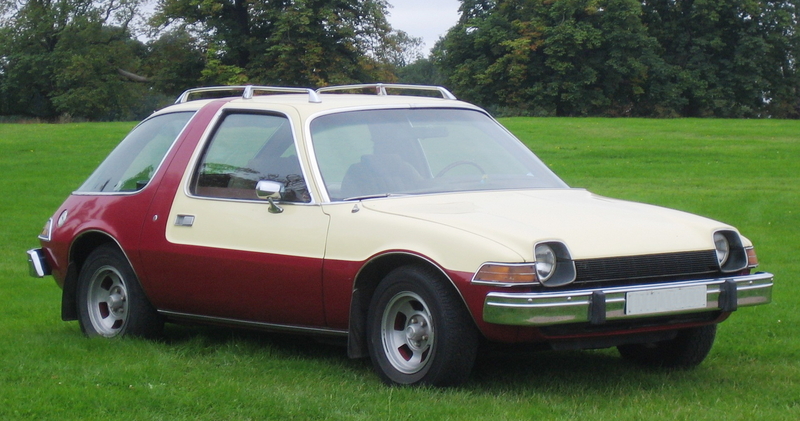 When the AMC Pacer first hit the market, people were pretty excited. 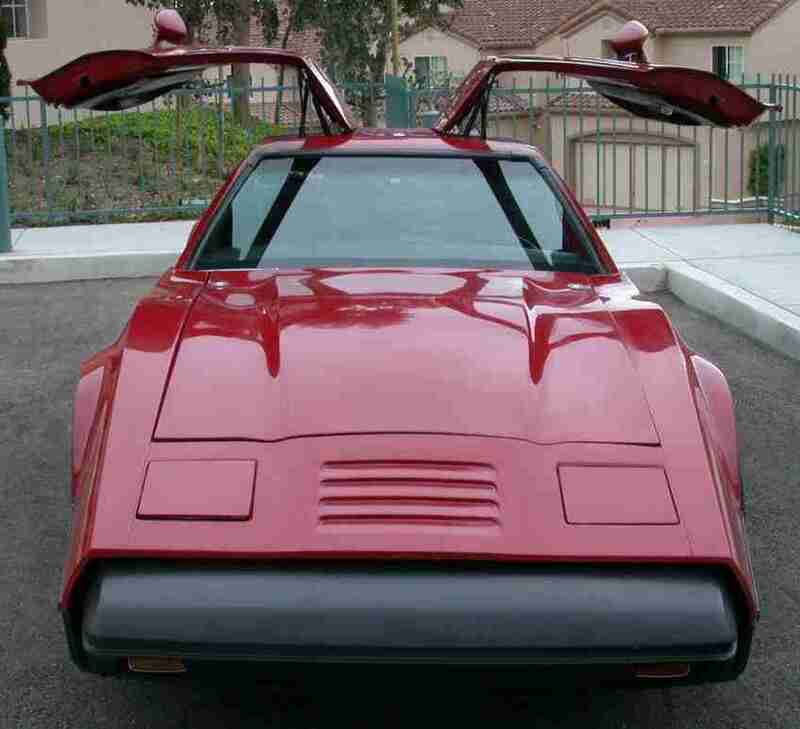 It had a look unlike any other, and nearly everyone was predicting this to be the “future norm” for car designs. Unfortunately, the hype started to wear off once people actually put the Pacer through its paces and realised it was as sluggish and heavy as trying to wade through neck-high mud. As for that design being a prediction for the future… well, not in this future, anyway. 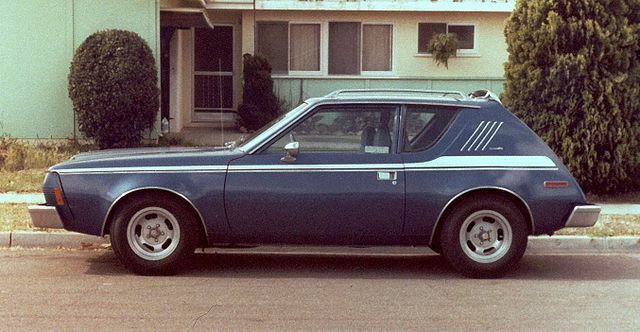 Before AMC graced us with the Pacer, they produced this little “beauty” – the Gremlin. In fact, it was even designed by the same guy; poor Richard Teague, he really wasn’t having a good time, was he? The outward appearance isn’t everything here though, it’s the terrible driving performance that really makes Gremlin a… well, gremlin. They had to hack out some of the suspension travel in the back to accommodate the odd design, which meant it handled all over the shop. The six cylinder engine was also horribly heavy. 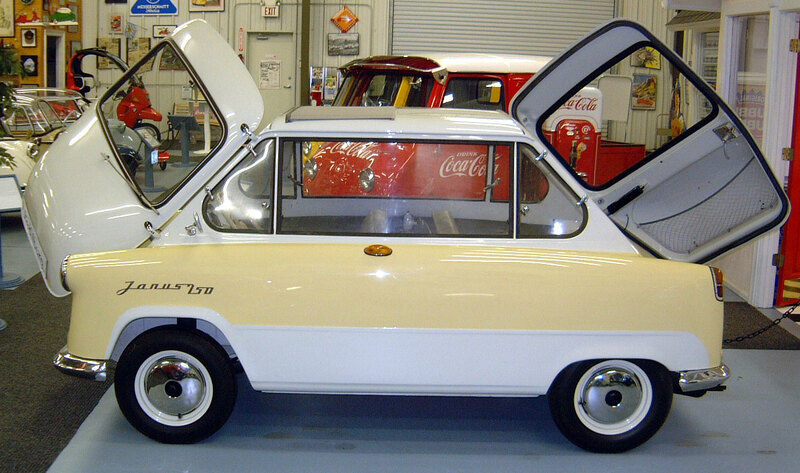 A three-wheeled car – of course! Why didn’t I think of that? Probably because it’s a RIDICULOUS IDEA. 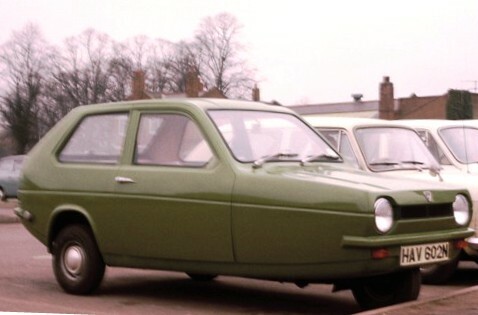 It seems like Reliant wanted to be all ironic about their company name and create the ultimate unreliable car. 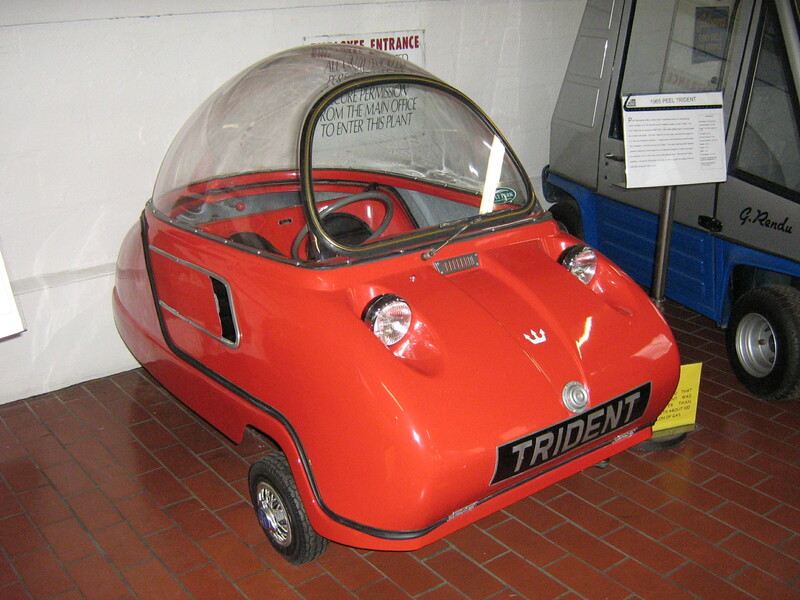 The “rollover Robin” (not its official nickname, but it probably should be) was also grossly underpowered, which meant you could drive by the public even slower as they pointed and laughed at you. Why go through boring side doors when you can enter your car from the front or back? And why sit forward in the back seat like normal when you can sit backwards and feel like you’re going to throw up the whole time? And why oh why travel along at the speed limit when you can tap out at an absolute maximum of 80km/h? That’s what this wonderful little car promised. The Zundapp Janus: you’ll be fearful for your life or your money back, guaranteed. Imagine heading out for a morning jog and passing one of these bad boys. No, literally passing one, because it moves at such a glacial pace you’d be sure to outrun it. The SV1 stands for Safety Vehicle 1, because safety was the number one focus of this not-so-mobile automobile. In fairness, what’s more safe than moving at the speed of an unenthusiastic sloth while being buried deep within a shell of dent-resistant plastic? Ca-ute! Who wouldn’t want to cram themselves into this little bubble of death? Just imagine driving along in the summer, cruising at a top speed of 45km/h, with the sun slowly but surely cooking you alive under the dome of plexiglass. AND you get to lay claim to the prized position of owning the world’s smallest car (and probably smallest brain for buying it). 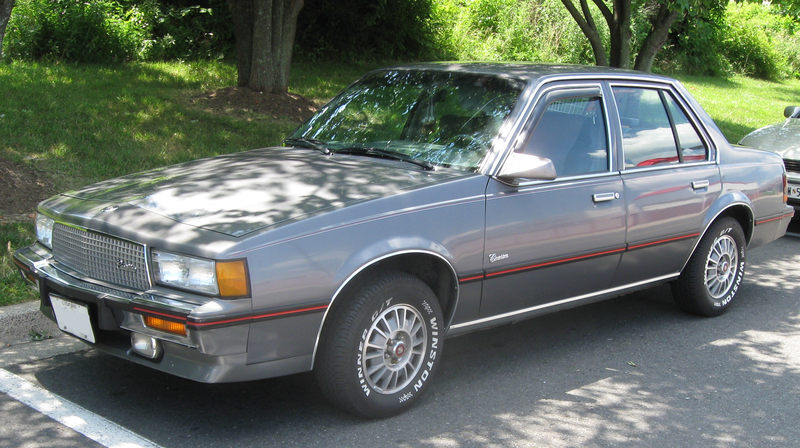 What’s the worst car you’ve ever driven? Are You Selling wants to hear about it! Tell us in the comments.